The Cilento region is a varied landscape of mountains, cliffs and coastline south of Salerno. 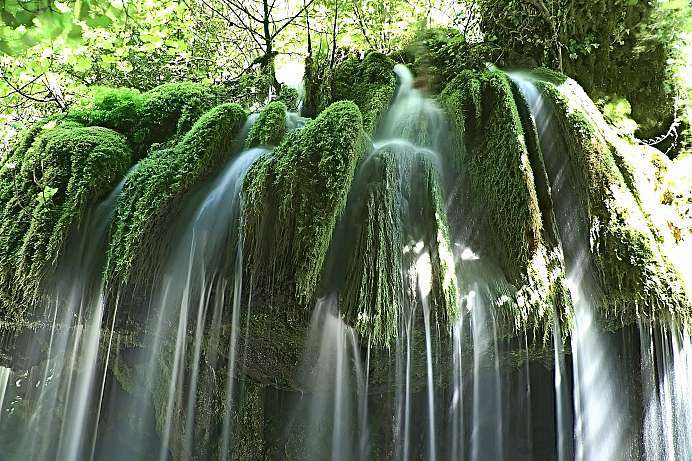 Most of the area is a national park (Cilento e Valle di Diano) that has been declared a World Heritage Site by UNESCO. The long beaches are a popular tourist destination in the summer months. One of the beaches, Castellabate, was a favorite resort of Hemmingway's. The interior with its rolling hills and a great variety of plants is also ideal for hiking. The old town of the village on the Tyrrhenian Sea belongs to I Borghi più belli d'Italia, the most beautiful villages in Italy and was one of Hemingway's favorite places. The name is derived from “Il Castello dell'Abate” (castle of the abbot). Castellabate owes its wealth to the Benedictines. During summer a lot of Italian guests come to visit, mainly because of the beautiful beaches. Today the ancient Greek port city is located a few kilometers from the sea. The founders were refugees who had suffered an Odyssey through the Mediterranean. They initially fled from the Persians, then from the Etruscans and finally from the Carthaginians. 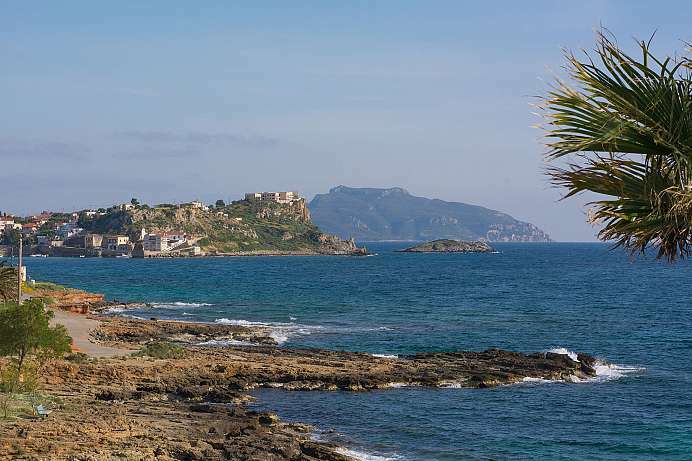 During the wars against Carthage, Elea became an important Roman stronghold. The Greek colony flourished and even indulged in its own school of philosophy. Cicero had a villa in the area. The silting of the harbor impoverished the city and it was abandoned in the 9th century AD. Today just a few temple columns and foundation walls are left to see. Only the Porta Rosa, which belonged to the city walls, still stands. 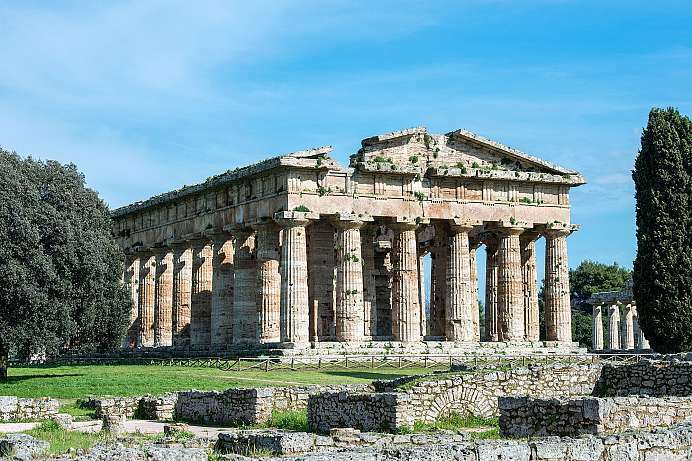 The most popular destination in the Cilento is the temple city of Paestum which was originally called Poseidoniaand and was founded by Greek sailors in the 7th Century BC. The excavations have revealed a great testimony of Greek culture in Italy. While walking between the large Doric temples one feels transported back to ancient times. 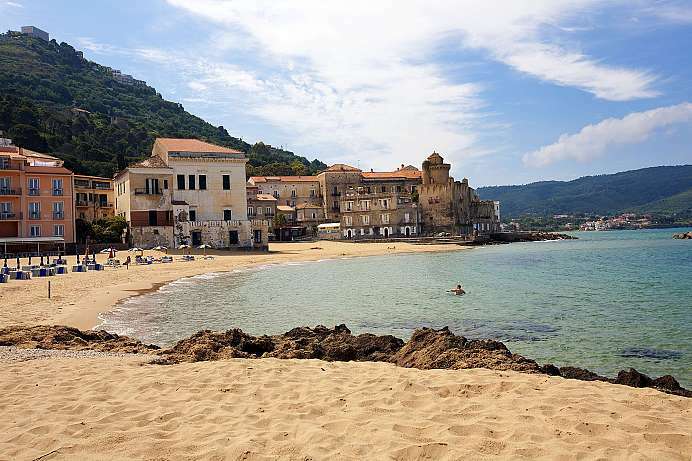 A visit to the temples can be wonderfully combined with a swim at the long sandy beaches of Cilento. In Morigerati, a village with 600 inhabitants in the backcountry of the Gulf of Policastro, the Busento River has formed one of the most interesting natural phenomena in Southern Europe. The river flows underground for six kilometers through a karst landscape and comes back out at the Cave of Bussento before plunging through a narrow canyon. The surrounding area is a nature reserve with several rare plants and animals. A mule path leads from the visitors center down into the gorge and can be completed round-trip with two hours of easy walking.